AOL Mail is one of the most popular email services around the world. You get unlimited storage with the attachment limit of 25MB. It has advanced spam filters and virus protection. But first thing first, you have to complete AOL sign up the process. You can create new AOL account within a couple of minutes and then log into AOL Mail and start using personalized AOL services. AOL offer not only web-based email but variety of online news, entertaining contents, and AOL Instant Messanger service. Step 1: Visit aol.com and click ‘Sign up’ or directly go to AOL Mail sign up page. Alternatively, you can visit mail.aol.com and select ‘Get free username’. Step 2: Enter your first and last name in the respective boxes. Step 3: Select the username you want under ‘Pick a username’ box. It is your online identity and visible to anyone with whom you communicate. 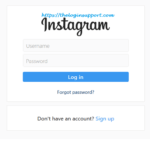 If the username you desire is already taken, try the different varieties of the username. Step 4: Enter a password on ‘Create a password’ field. And re-enter in the box below it. Create a unique and secure password. Step 5: Enter date of birth, gender and postal code in the respective boxes. Step 6: Choose a security question from the drop-down menu. And answer the question on the box which is just below drop down menu. 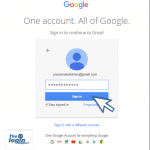 Step 7: Enter your phone number and alternative email address. 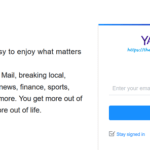 These details will be useful to reset AOL Mail password. Step 8: Click ‘Sign up’. You’ll receive a six-digit code on your phone via text. Enter the code and click ‘Finish’. Congratulations for successfully completing AOL email sign up. Now you will get AOL account information where you can choose the option ‘Text me the link to AOL app’ if you wish and click OK for further set-up. 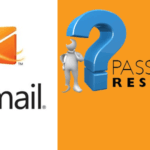 Unable to Complete AOL Mail Sign Up Process? Many times, AOL sign up page is down. Wait some time and try again. AOL Mail register process will not complete if you enter incomplete mobile number or the wrong zip code details. If you face any difficulties on AOL mail sign up process, please let us know in comments below, we will assist you.